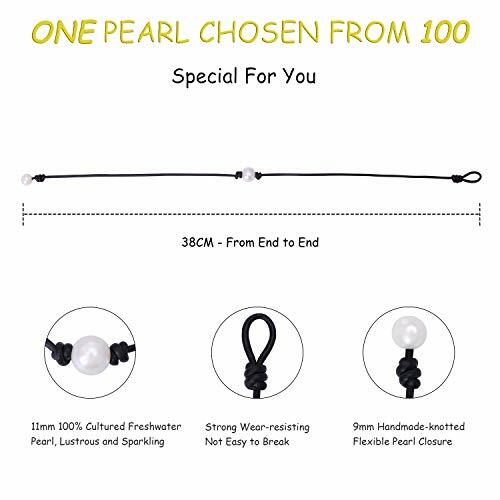 【Pearl Choker】 Handmade knotted single white pearl choker necklace with genuine leather cord for girls, we handpick cultured pearls in this one bead choker with good luster, quality, color and cleanliness for this beaded choker necklace. 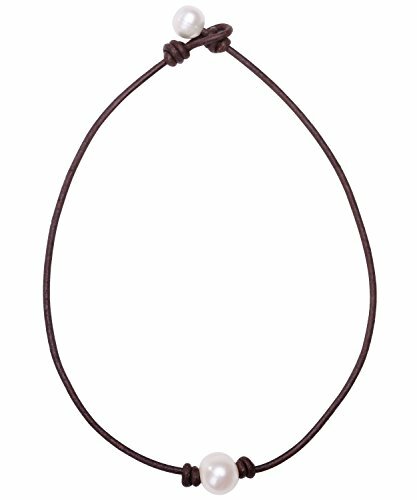 This versatile freshwater pearl necklace is Subtle and Simple, it’s perfect for everyday wear or a night out. 【Specification】 The leather pearl choker necklace total length is 15’’. This gorgeous one pearl necklace choker is made with a beautiful high luster 11-11.5 mm freshwater pearl on a 2 mm genuine brown leather cord. I used a 9 mm potato freshwater pearl for black leather choker clasp. 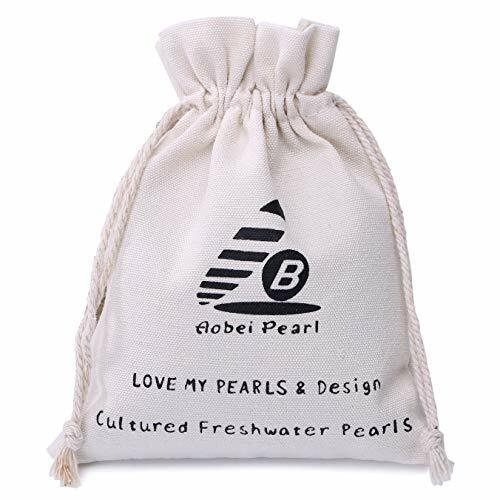 All the pearls are in white color with bleached treatment. 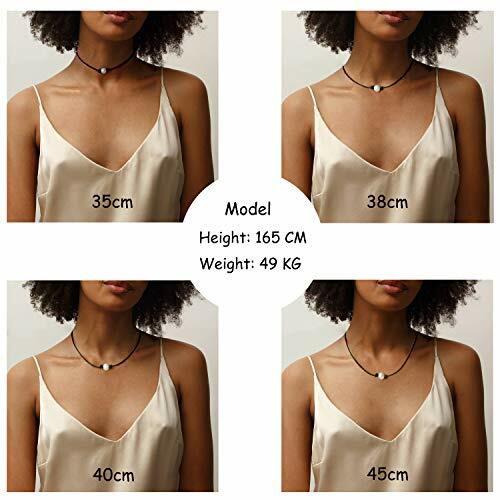 【Choose Your Length】 Here is an easy way to measure this pearl pendant necklace, take a piece of string and wrap comfortably around and mark, then hold it against to a ruler for your length. Wish you will choose your best neck choker. 【Great Present】 This fashion beach choker necklace makes the perfect gift for Mother's Day, Valentine's Day, Christmas, Birthdays, June Birthstone, Engagement, Brides, Bridesmaids or Graduation for any woman, teen, children, adults, daughters, granddaughters, girlfriend, wife, fiancee or that special lady. 【Guarantee】 To ensure you are completely satisfied with your purchase, we offer you a 30 DAYS MONEY BACK GUARANTEE. 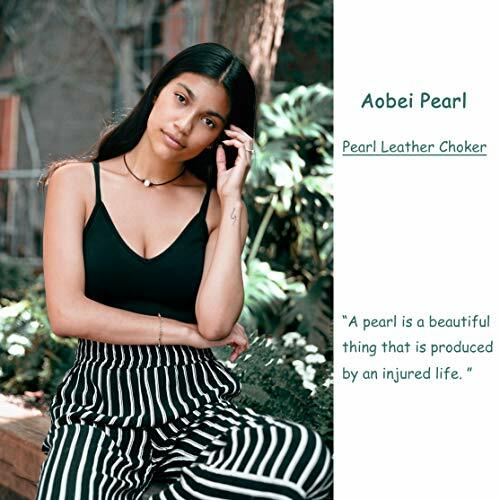 Purchase from Aobei Pearl, where ultimate craftsmanship and satisfaction are always guaranteed.